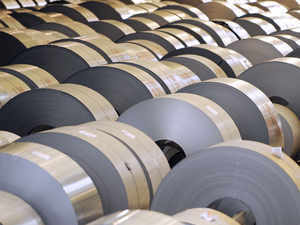 NEW DELHI: India has sought consultations with the European Union (EU) under the aegis of WTO against a move of the 28-nation bloc to impose safeguard duties on certain steel products. Against the US move to impose high customs duties on certain steel and aluminium products, the EU in July last year proposed imposition of definitive safeguard duties to protect their industry against a surge of imports. "India has substantial interest as exporter of the products concerned. Hence, India requests consultations with the WTO under the Agreement on Safeguards with a view to review information and exchange views on the measures," the WTO said. According to an expert, seeking consultations with the safeguard committee is a way to inform the other country that they are not fulfilling their commitments under the global trade rules. WTO is a Geneva-based, 164-member global body which frames rules and norms for exports and imports. India is concerned about the European Union's move as it exports nearly 6 per cent of its steel output to Italy. Italy is a member of the EU.